George Wallace Melville was irascible, short tempered, a near genius and to a great degree, as Chief Engineer, father of the modern United States Navy. Of Scottish descent he was born in New York City, the son of Alexander Melville and Sara Wallace, on January 10, 1841. He showed an early aptitude for mathematics and engineering and, following a high school education at the School of the Christian Brothers, he enrolled and graduated from the Brooklyn Collegiate and Polytechnic Institute. He began his career as an apprentice with the James Binns engineering works of East Brooklyn. Melville's employment was abruptly terminated with the outbreak of the War of the Rebellion. On July 29, 1861 he was commissioned a third assistant engineer in the United States Navy. Barely twenty years of age at the time of his commissioning he was to lead an active and important life in the U.S. Navy during the Civil War. His initial assignment was on the U.S.S. Michigan on the Great Lakes. He was then transferred to the sloop of war Dacotah on the North Atlantic Blockading Squadron. He participated in the attack on Lambert's Point, the capture of Norfolk, Virginia, and assisted in clearing the obstructions from the James River. He served with the fleet supporting General McClellan's forces at Harrison's Landing during the Peninsular Campaign. He was appointed Second Assistant Engineer with the rank of Master on December 18, 1862. His most heroic exploit during the war, was his participation in the engagement between the U.S.S. Wachusett and the C.S.S. Florida in the harbor of Bahia, Brazil on October 6, 1864. Despite being in a neutral port the captain of the Wachusett, Commander Napoleon Collins, determined to either seize the Florida or sink her. Dressed in civilian clothing Melville rowed around the Confederate vessel in broad daylight in order to make an assessment of her strength. Commander Collins decided to ram the Florida, but all the officers believed that there was a strong probability that the shock would dislodge the machinery and cause death to all in the boiler room by scalding. George Melville volunteered to remain below to operate the machinery taking his chances. One enlisted man finally agreed to stay with him. Owing to some oversight some part of the anchor gear remained over-board and so retarded the speed of the Wachusett that the impact did not seriously damage the Florida. The rebel steamer was, however, boarded and captured and taken north where, after several misadventures in the harbor at Newport News, she sank. George Melville was appointed Chief Engineer of the Wachusett remaining with her until he was transferred to Torpedo Boat No. 6 serving in the fleet under the command of Admiral David Dixon Porter and, as such, was present at the capture of Fort Fisher. For his services at Fort Fisher he was promoted First Assistant Engineer (Lieutenant) on January 30, 1865. At the close of the war he determined to make the Navy his profession and continue in the engineering field. He served successively in the West Indies, Brazil and the East Indian stations and at various United States Navy yards. His interest in exploration came to a head with his participation in Arctic exploration. He made two voyages to the Arctic all in attempts to rescue previous expeditions: the Polaris expedition, and the Jeannette expedition to relieve the Greely Expedition. In the Jeannette expedition Melville commanded the whaleboat which managed to bring the entire crew out alive and then returned to bring out the bodies of Lt. George W. DeLong and his companions and the records of the expedition. In response to his heroic efforts Congress advanced him fifteen numbers in grade for promotion and awarded him a gold medal for heroism in the Arctic. He was appointed Lt. Commander on March 4, 1881. On August 9, 1887, President Grover Cleveland advanced Melville over forty-four senior officers, and appointed him Chief Engineer with the rank of Commander and on January 16, 1892 he was appointed Chief of the Bureau of Steam Engineering and Engineer-in-Chief of the U.S. Navy with Flag Rank of Commodore. On March 4, 1899 he was promoted to Rear Admiral. During his tenure in the Navy he designed the machinery of about sixty-percent (120 ships) of all vessels of the U.S. Navy. In the course of his career in naval engineering he invented the watertube boiler, the triple-screw system, vertical engines, and numerous other devices. He served as president of the American Society of Mechanical Engineers and of the American Society of Naval Engineers. He received honorary degrees from six universities, including Harvard and Columbia. He retired August 1, 1903, at the mandatory age for retirement from the U.S Navy. Admiral Melville's work was concentrated in the later years of his career at the Philadelphia Navy Yard, and he became a resident of Philadelphia for the last 25 years of his life. 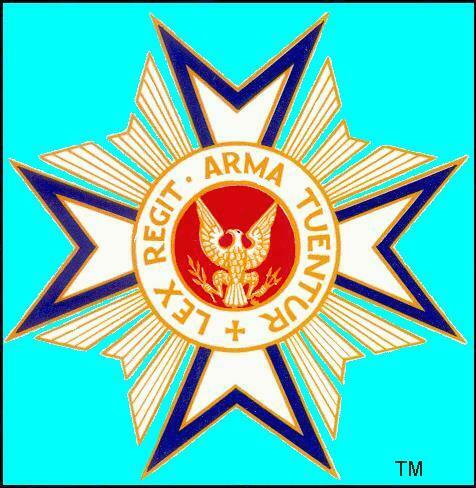 On May 5, 1886, George Wallace Melville was elected a Companion of the First Class of the Military Order of the Loyal Legion through the Commandery of Pennsylvania. He served as Senior Vice Commander of the Commandery for the years 1892-1893 and as Commander for the period 1908-1909. On October 18, 1911, Rear Admiral Melville was elected Commander-in-Chief of the Order. 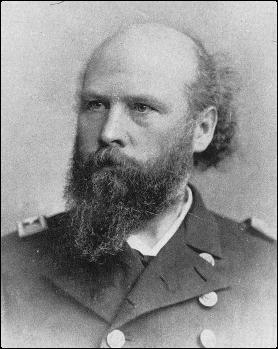 After serving only five months as Commander-in-Chief of MOLLUS Rear Admiral Melville died at his home in Philadelphia on March 17, 1912. George Melville was married twice, first to Henriatte Beatty Waldron, from whom he was later divorced (and by whom he had four daughters, Estella, Maude, Elsie and Meta) and secondly, Estella Smith Polis by whom he had no issue. Meta married Herbert G. Stockwell and their son, Melville Stockwell was designated his grandfather's successor in MOLLUS. . He was laid to rest in Laurel Hill Cemetery, Philadelphia. In his will he wrote, "I devise and bequest that all paintings, relics and articles of vertu relating to my military, naval and Arctic service, including all my medals, orders, swords, bronze bust and statuettes, and other articles contained in my dwelling house in the city of Philadelphia, all said articles to be selected by my literary executor, Walter M. McFarland, and delivered to the Recorder of the Loyal Legion of the United States, Commandery of the State of Pennsylvania, and I hereby allot $2,000 out of my estate to properly place them in the musuem of that Order." Previously, on December 13th, 1905, Admiral Melville had donated to the War Library and Museum, in a letter to Col. John Page Nicholson, the Recorder-in-Chief of MOLLUS "two of the flags that were captured on the Confederate State Ship "Florida" in the harbor of Bahia when the "Wachusett" cut her out in the fall of 1864. These flags were taken from her signal chest by myself the day after the capture. I was serving on the "Wachusett" at the time of the capture and was transferred to the "Florida" to prepare her to make the voyage to the United States, and so secured the flags." A large bronze statue of Admiral Melville is in the Philadelphia Navy Yard. In 1970 a 2075-ton oceanographic research vessel was commissioned at the Nimitz Marine Facility, Scripps Institute of Oceanography, University of California in San Diego and named the Melville. Dr. William M. McBride Associate Professor of History at the U.S. Naval Academy, Annapolis MD, is currently in the process of writing a biography of Rear Admiral Melville.